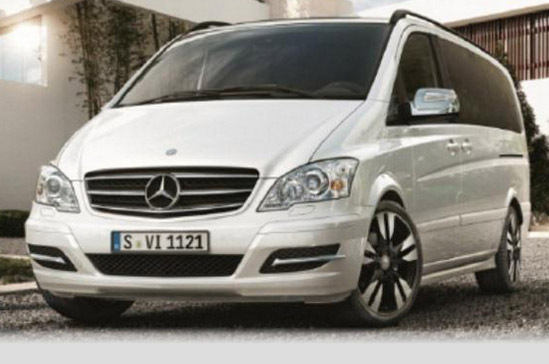 The Mercedes-Benz Viano luxury van actually has 8 seats, and has caused quite a stir in the Australian market. It has the functionality of a people carrier, offering plenty of room and combining it with the luxury features that you have come to associate with Mercedes-Benz making it a truly Multi-Purpose Vehicle. With several editions in their 2014 Viano line, drivers can go sporty or super luxurious depending on the model they select. The Mercedes-Benz Viano is a 5 door which comes in six and eight seat versions. The six seat version has the option for a captain’s chair seats in the second and third rows – two each. The passenger space does not mean that the Viano is short on cargo space, though. It has plenty of cargo space even when all of the seats are full. The interior of the Viano is everything you would expect from a Mercedes. High quality, fine attention to detail on the trim and the latest technology give the roomy cabin and passenger area a comfy, lush yet practical feel. Of course it offers butter soft leather on the seats and panels as well as the latest technology when it comes to the dash panel. The seats are plush and passengers are treated to a comfy ride. The exterior of the Viano makes an impressive impact with the Bi-xenon headlights and of course the Mercedes-Benz hallmark feature, the LED DRLs. But the styling alone is sure to impress. From its 17 inch alloy wheels to its gentle slope of the roof, the lines of this passenger van are simply stunning. The boxiness of the tailgate is softened with gentle curves of the tail lights. It is subtle, classy and commands attention on the road. Mercedes-Benz Australia has dropped a V6 turbo diesel engine into the Viano. Of course Mercedes-Benz won’t put just any engine in their vehicles. No, this engine is from the Blue EFFICIENCY line. These engines provide optimized efficiency meaning better fuel efficiency and minimal emissions. The five speed transmission is automatic on this real wheel drive vehicle giving it plenty of pulling power as well. To support this rear wheel drive van, Mercedes has added a newly designed suspension system that includes a self-leveling rear. When combined with the V6 turbo, you have one powerful people mover. But the power does not undermine the performance. The Viano was built to handle the road with precision and easy handling. The suspension keeps the ride quiet and smooth. The steering is tight, giving the Viano a distinct ease in handling. Of course it isn’t a sports car so you won’t be turning on a dime, but you will move down the road with significant power and your passengers will ride in comfort. And it does have a tighter turn radius than would be expected of a van or larger vehicle. 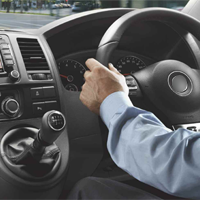 The situation of the cabin and driver’s seat also provide excellent visibility for the driver. The Viano averages around 8.6L per 100Km with a CO2 output of 233.9 g/km. This is far above other vans of similar size and power. Most vans of similar size get half that – or less. This price chart is for the base model, and is a guide only. Some dealers may charge more or less than the recommended price. There are a couple of things that Mercedes-Benz may want to upgrade on the Viano. For one, the five speed automatic is just not the ‘in’ thing any longer. It almost seems that Mercedes skimped a little on it. Also, the rear seat is not electronic and, well, it really should be. It would really bring the quality and comfort of the Viano up to what we have come to expect from Mercedes-Benz. Guess we’ll be looking to the 2015 models for these changes. Do you want to know the best small cars available in Australia? View the top rated small cars here.